The Reina Sofia Museum is Spain's national museum of 20th-century art. 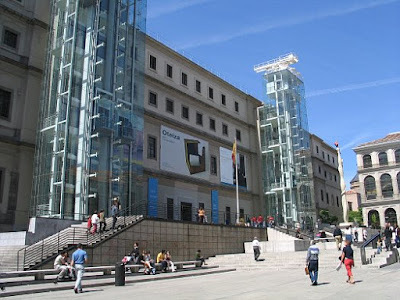 It was opened in 1992 and it was named for Queen Sofia, mother of the current king of Spain. 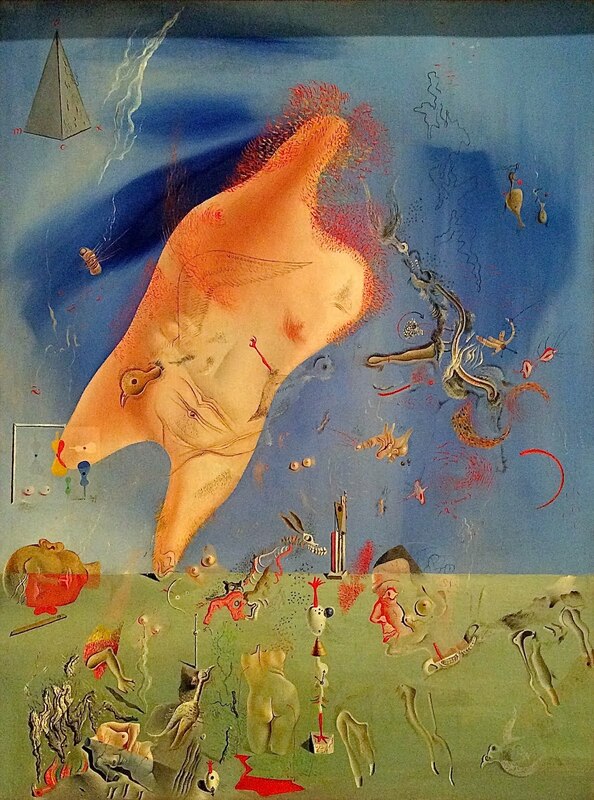 Its permanent collection is mainly Spanish, with a sprinkling of international works. 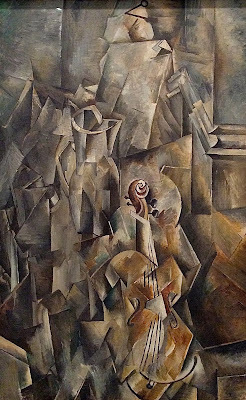 The big disappointment of the permanent collection is that photography is not allowed in a large section, including Picasso's famous Guernica and lots of other work by Picasso. Kandinsky is credited with inventing Abstractionism, and he developed many variations of that approach. 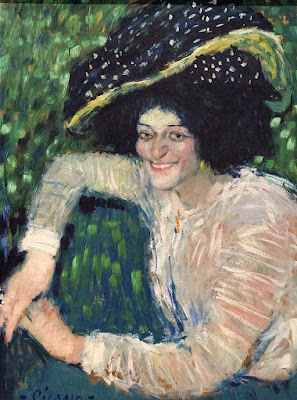 Picasso is one of the giants of 20th century painting, ever leading the way. 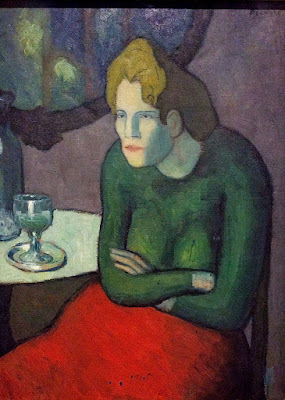 He is always associated with Cubism, but some of his early work was in the Post-Impressionist style. Sonia was a French artist and designer who is known as one of the founders of Orphism, a color-based off-shoot of Cubism. 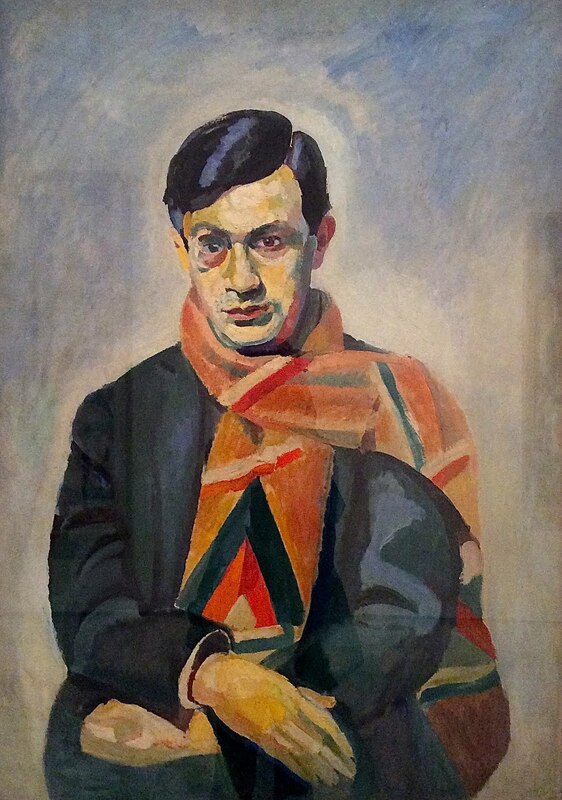 Delaunay was a French artist and designer who is known as one of the founders of Orphism, a color-based off-shoot of Cubism. Juan Gris was an important Spanish painter who spent most of his career in Paris. His death at the age 40, cut short his career. 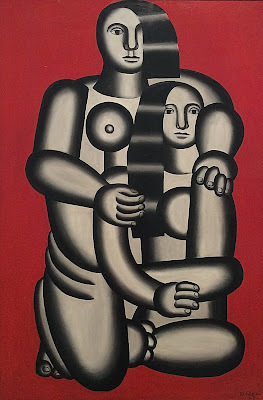 He produced a form of synthetic Cubism that is both substantial and appealing. 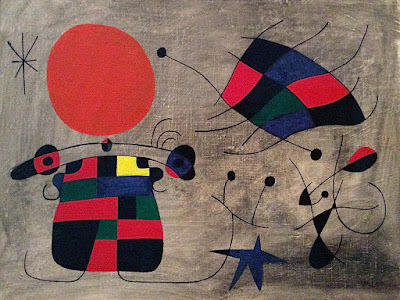 Miró was an important a Spanish painter of the 20th century. His early work was primitive and stylized. He is best known for his contributions to Surrealism. 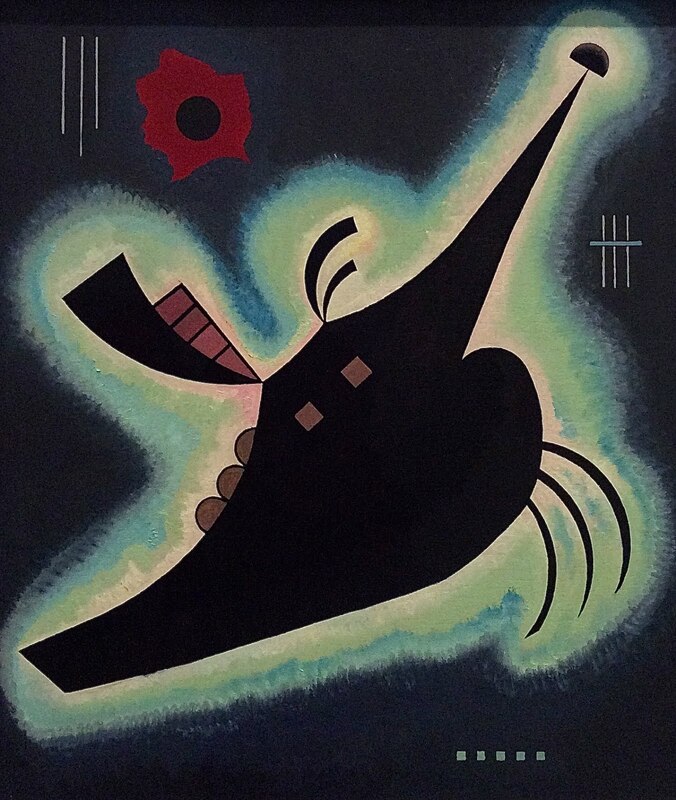 Miró created his Surreal images using figures and objects of his own invention and distributed them in undifferentiated space. 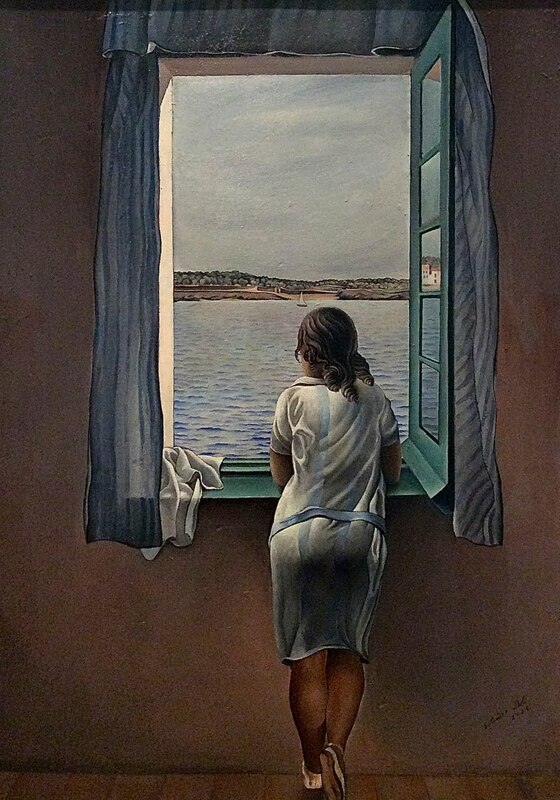 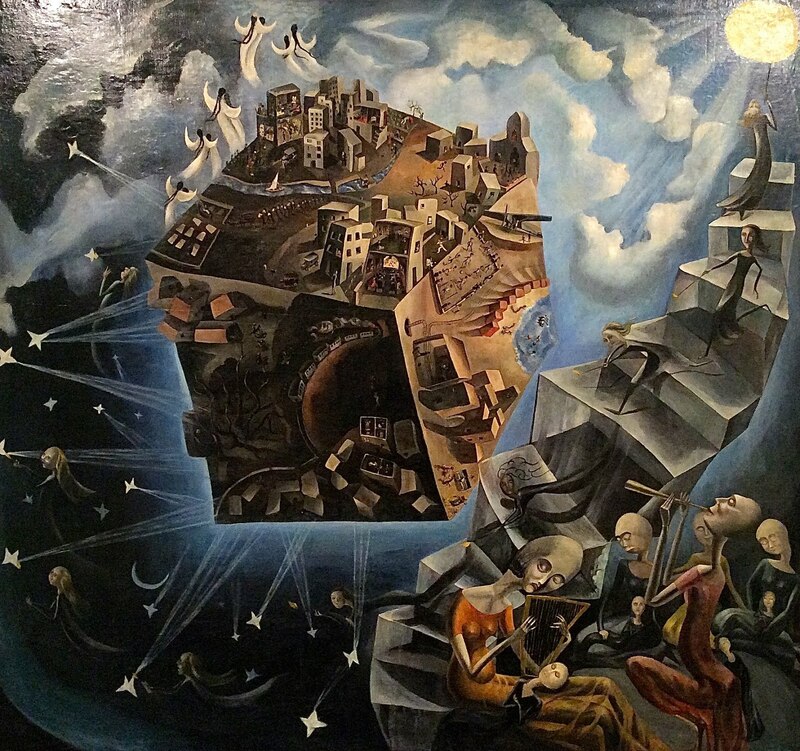 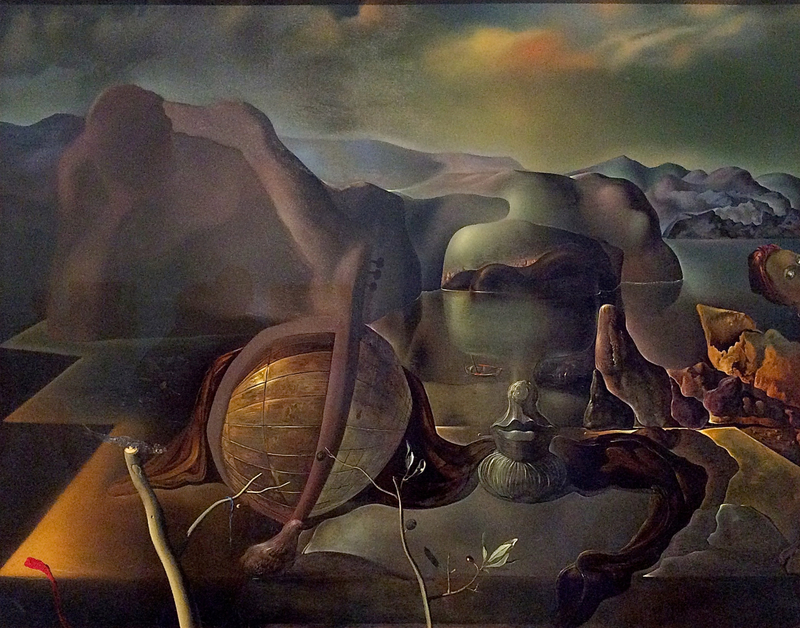 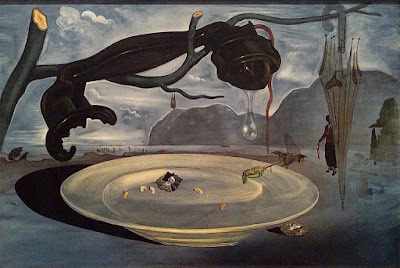 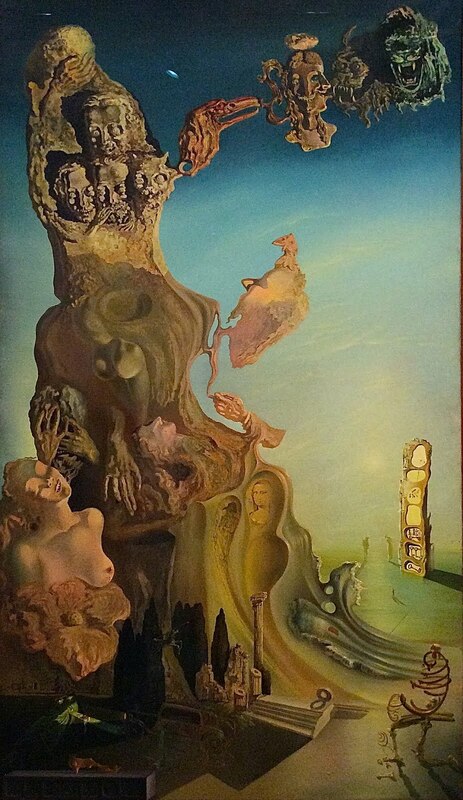 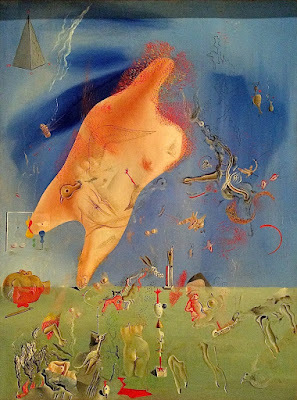 Dalí might fairly be called the prototypical Surrealist, exploring his fantasies, memories, obsessions and fetishes with wild abandon, and gleefully exposing them to the art world. 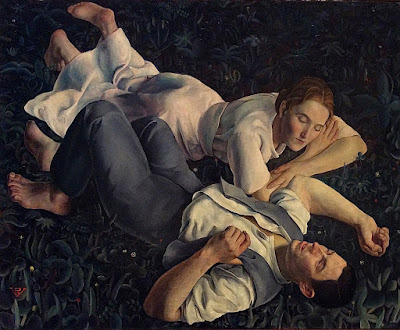 However, some of his work belongs to the Classicism movement. 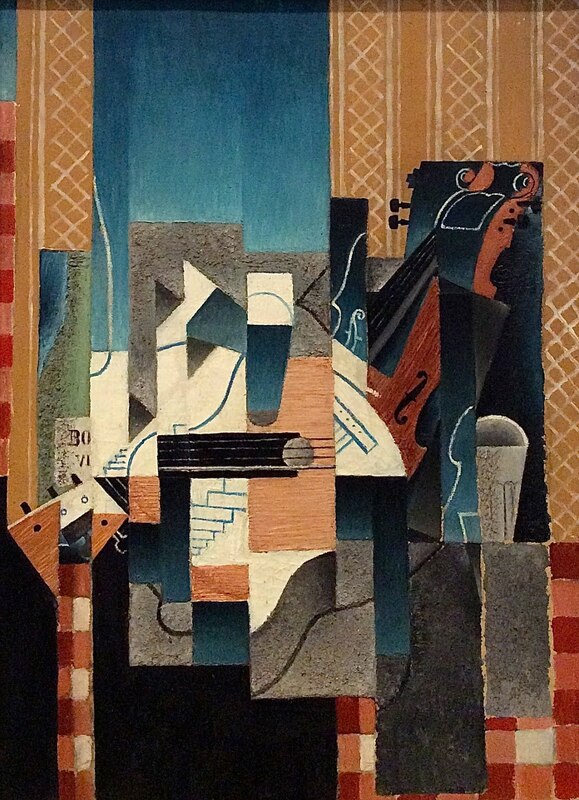 He even made various forays into Cubism. 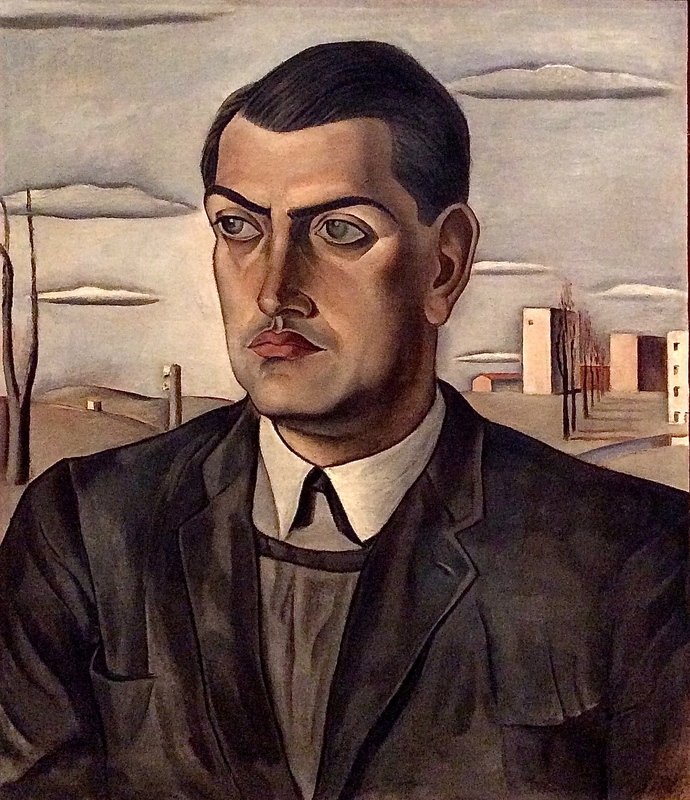 Buñuel was a Spanish filmmaker who made Surreal films. 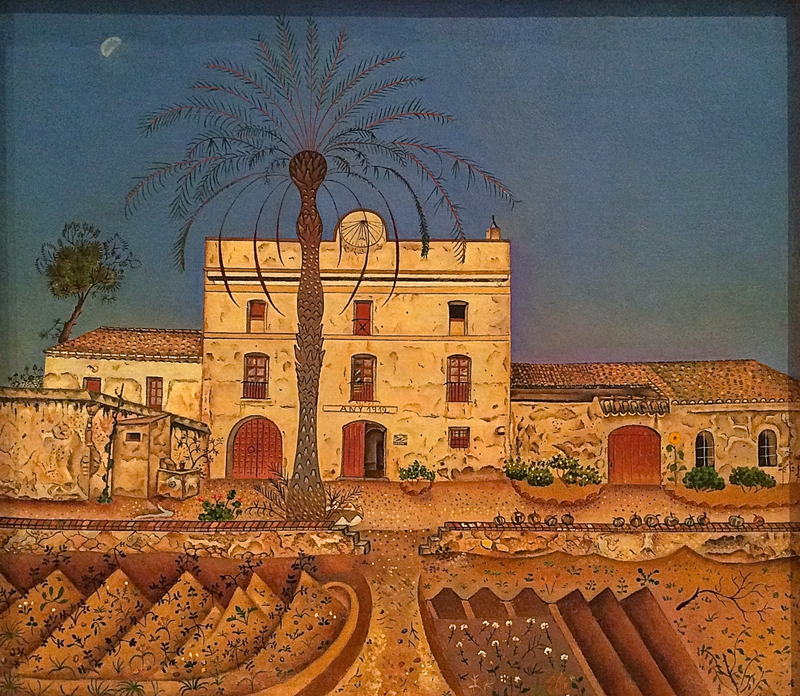 The museum had several outstanding paintings by Spanish artists who are not well-known in the international art scene. 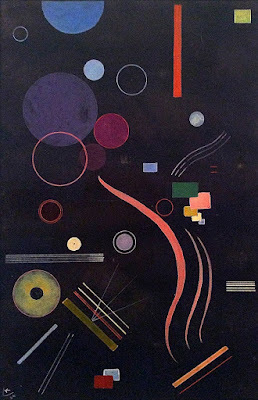 Kandinsky was the leader of the Abstract movement. 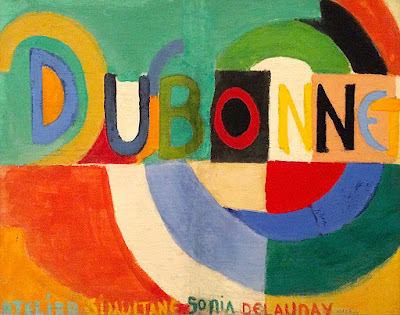 Sonia Delaunay and Robert Delaunay invented a colorful offshoot of Cubism known as Orphism. 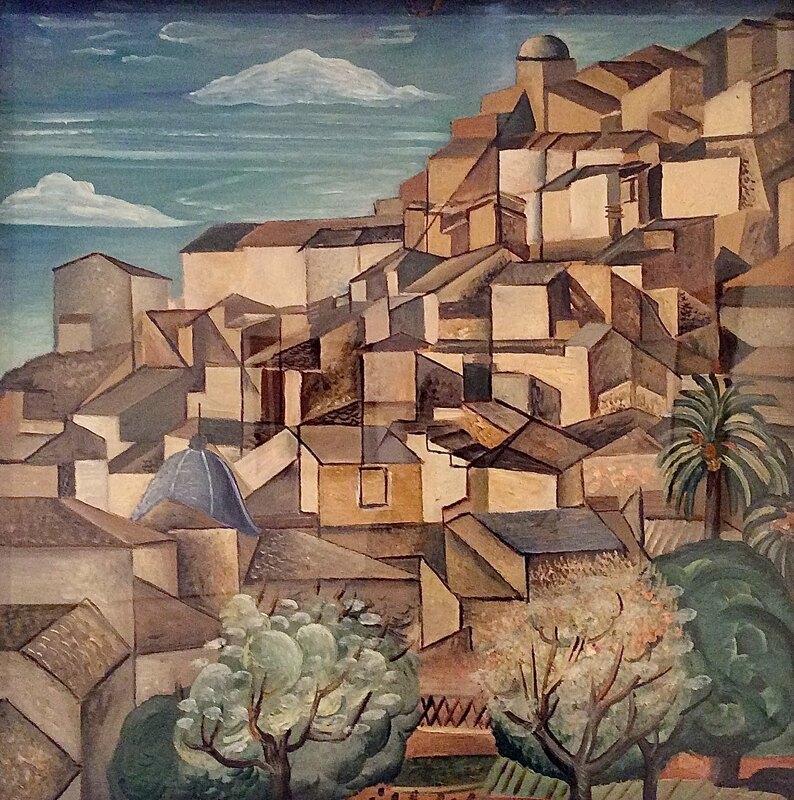 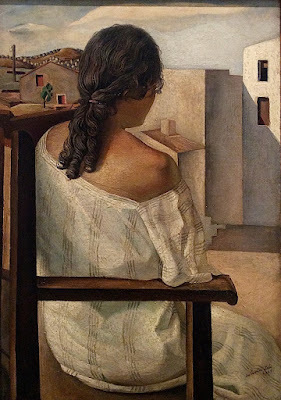 Spain had many excellent painters in the 20th century who have not gained international fame. During our tour, the museum was hosting two special exhibits from Basel, Switzerland. 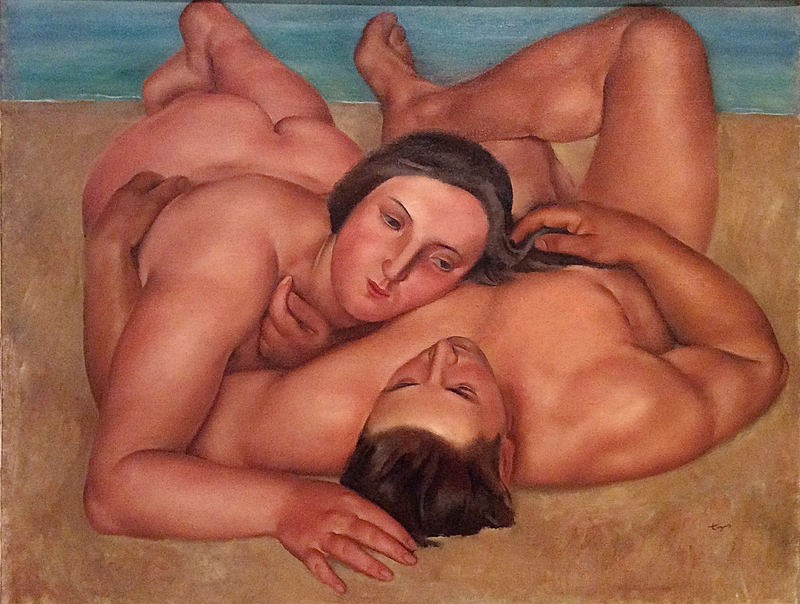 Between them they comprised a survey of art of the first half of the 20th century. This exhibition brought together two leading collections of early modernist art that now form part of the holdings of the Kunstmuseum Basel. 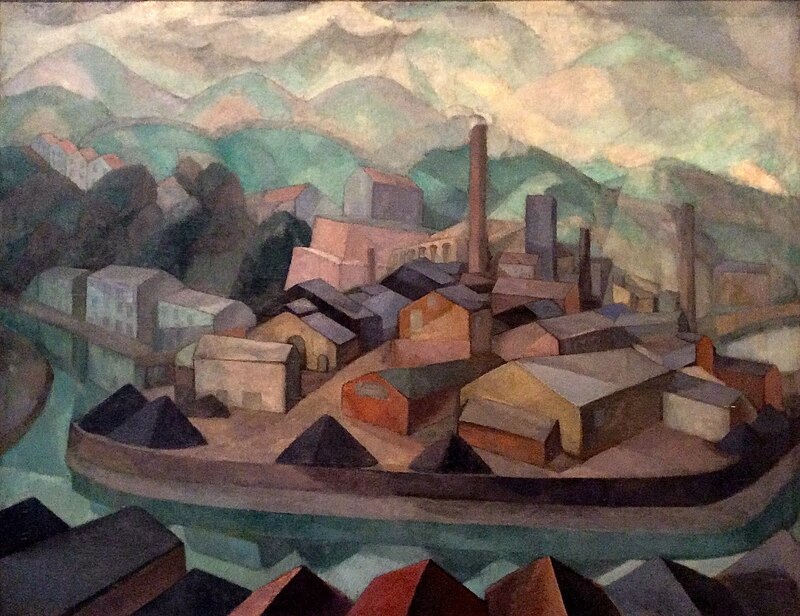 Im Obersteg and Rudolf Staechelin were friends, and both were members of the Basel Arts Committee. Gauguin was one of the most important artists of the Post-Impressionist period. He is usually associated with the theme of island life, but he also did many canvases while he was still in Europe. His paint handling was textured in the European phase of his career, but after he moved to the islands, his style became flatter and more iconic. In February of 2015, this painting was sold by the family of Rudolf Staechelin to the chairman of the Qatar Museums for almost $300 million, the highest price ever paid for a work of art as of this writing. 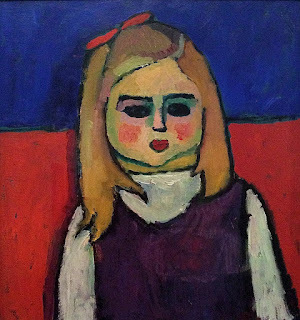 When this show was over, the painting was sent to its new owner in Qatar. Van Gogh was the most popular Post-Impressionist. 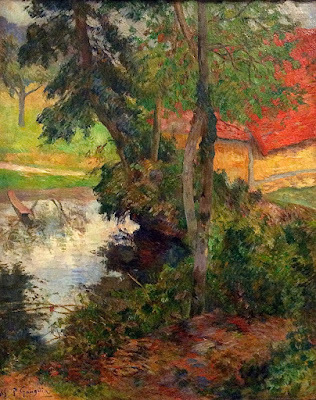 Daubigny was a painter that van Gogh admired. Hodler was a Swiss painter whose style derived from Post-Impressionism. 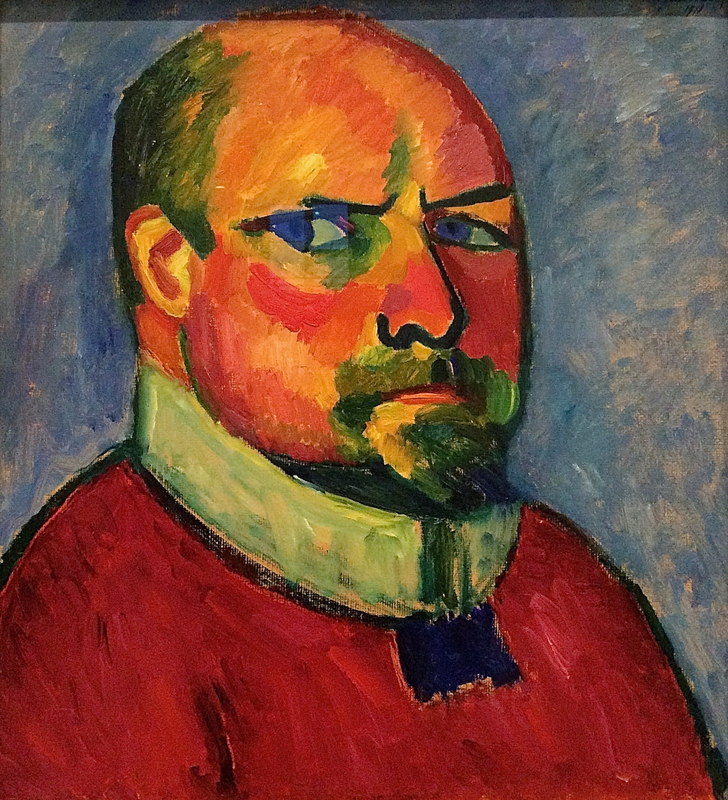 Jawlensky was a Russian Expressionist painter who made his career in Germany. 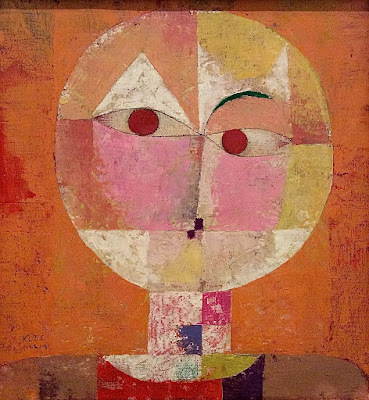 His main subject was faces; not so much as portraits, but as imaginative and expressive designs. 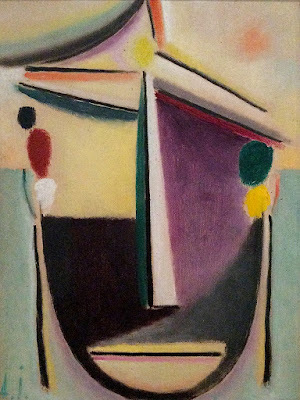 Kandinsky is best known for his abstractions, but he started as a painter of Expressionist landscapes. 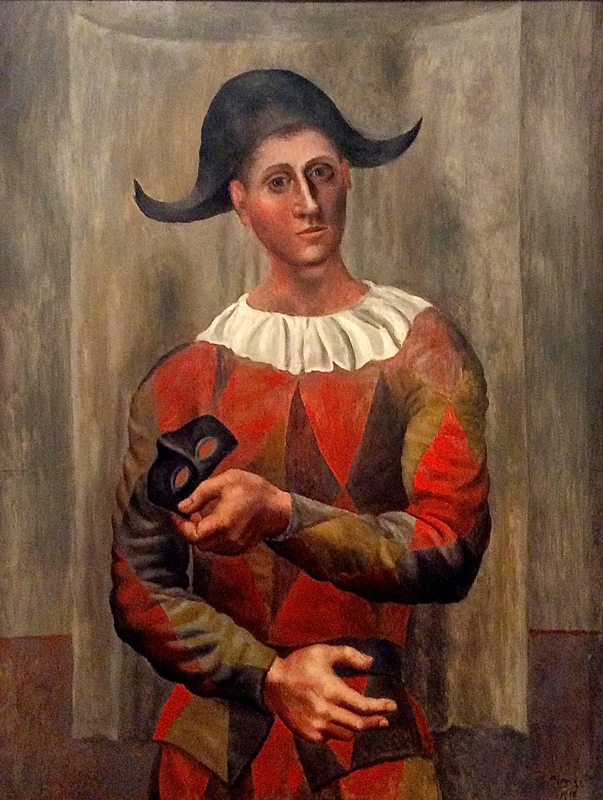 Picasso commanded a dumbfounding array of styles. He could even paint in very different styles in the same year. 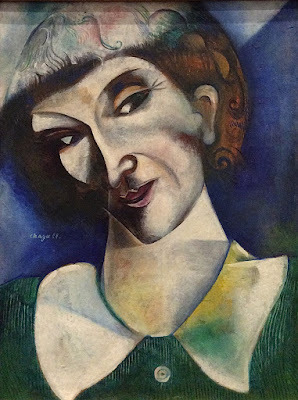 Chagall was a Russian painter who spent most of his career in Paris. Many of his paintings reflect his Jewish heritage. 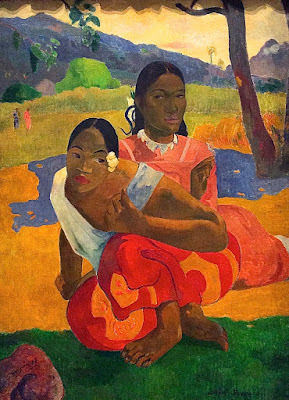 Gauguin was an important Post-Impressionist who painted landscapes in Europe and figure studies in the islands. 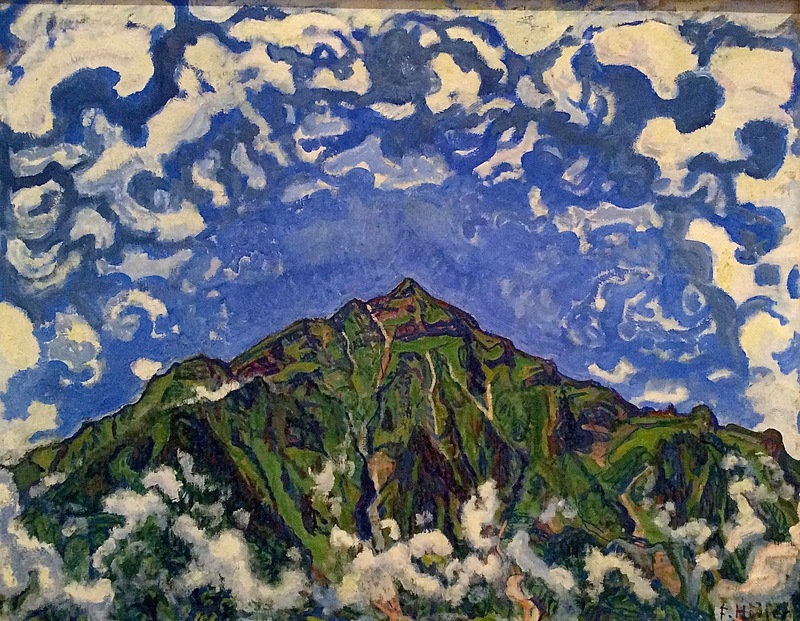 Hodler was painter in the Expressionist movement. 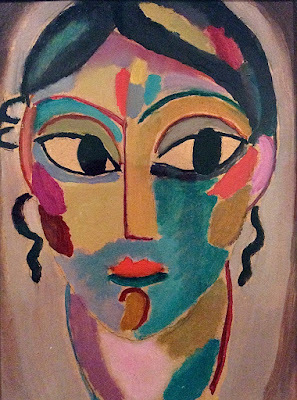 Jawlensky was an Expressionist who had a specialty of designs based on faces. Kandinsky was the foremost Abstractionist. Picasso worked in a wide array of styles. 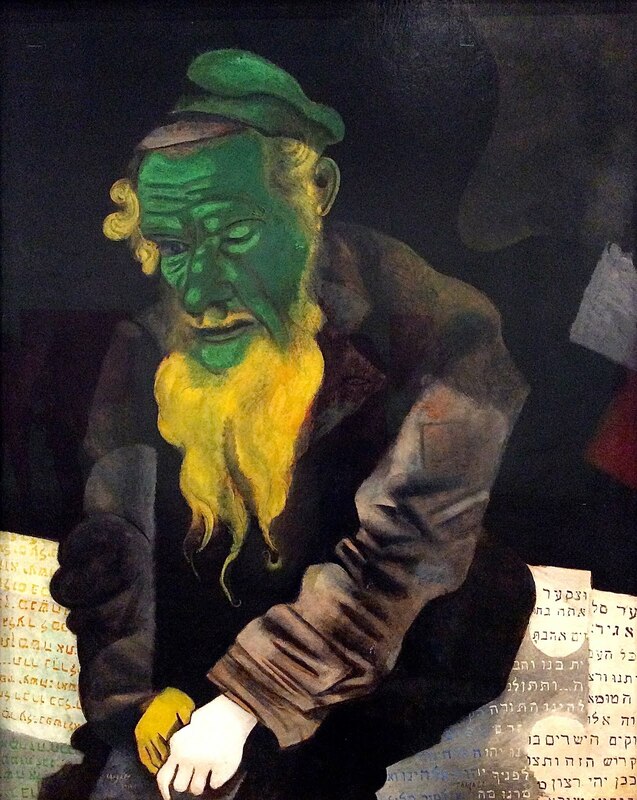 Chagall was an Expressionist who sometimes explored his Jewish heritage. 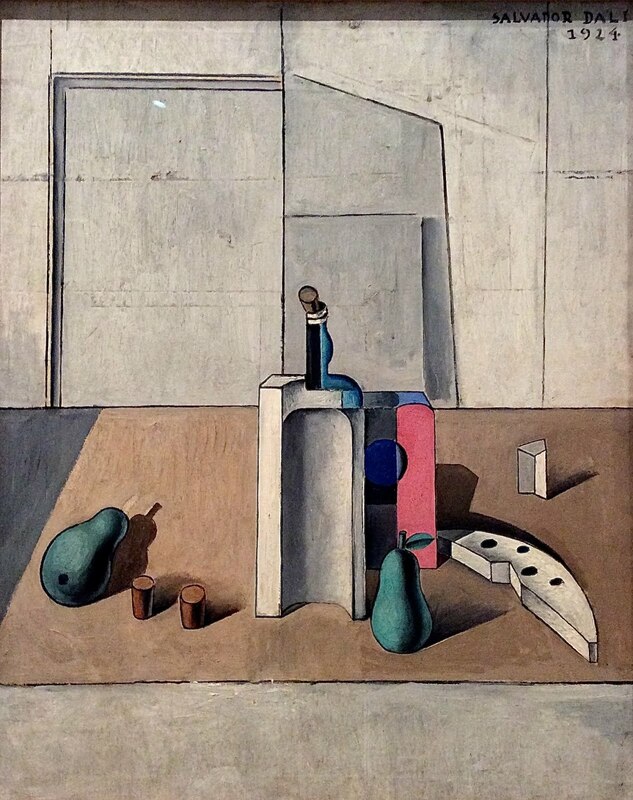 Coinciding with the closure of the Kunstmuseum Basel for the remodelling of its spaces, the Reina Sofía Museum was showing a selection from the Kunstmuseum Basel’s important collection of modern and contemporary art. 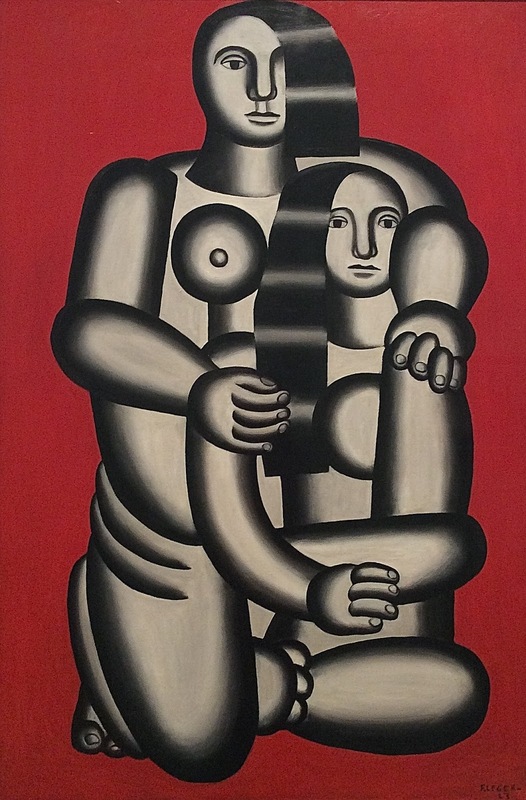 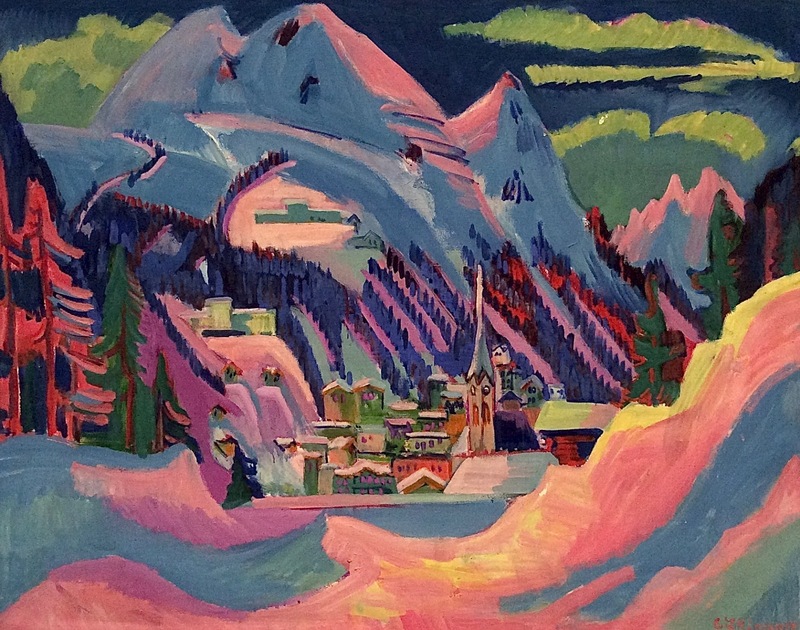 This selection ranged in date from the late 19 th century to the present day, and offered a comprehensive panorama that demonstrated the transition from classic modern to contemporary art, including examples of Expressionism, abstract art, Constructivism, Minimalism, and German Expressionism. Hodler was the best known Swiss painter of the late 19th and early 20th century. His style was Expressionist. 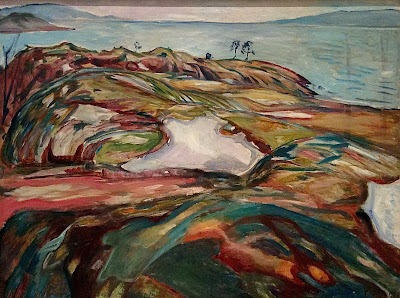 Munch was a Norwegian painter who worked in the Expressionist manner. 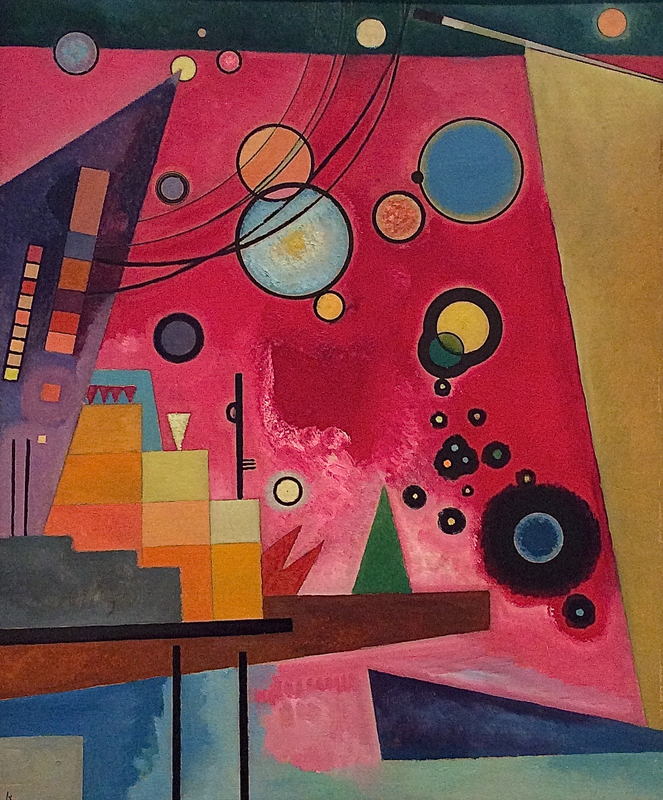 Kandinsky was the leader of the Abstractionist movement. Piet Mondrian was a Dutch painter who brought a rigorous geometry and color balance to Abstractionism. 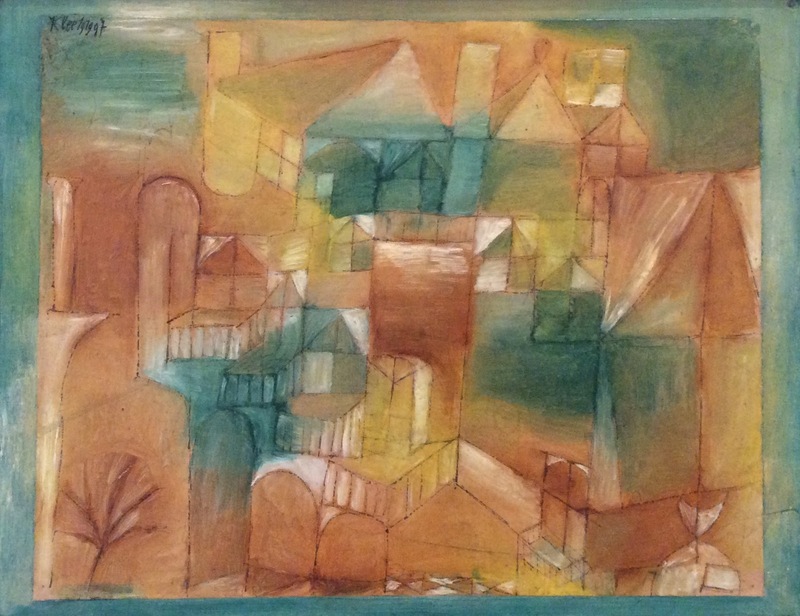 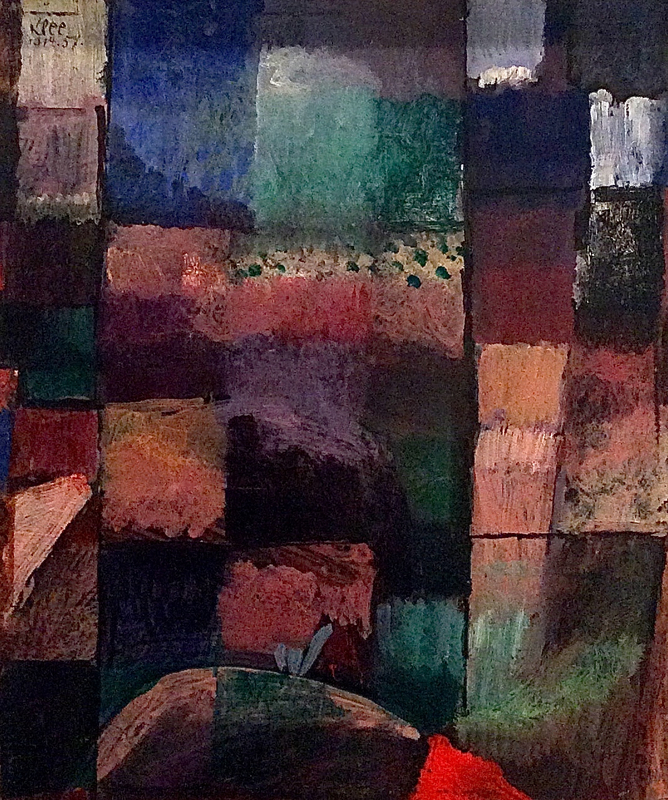 Paul Klee was a Swiss-born painter of German heritage who created whimsical designs with subtle color combinations. 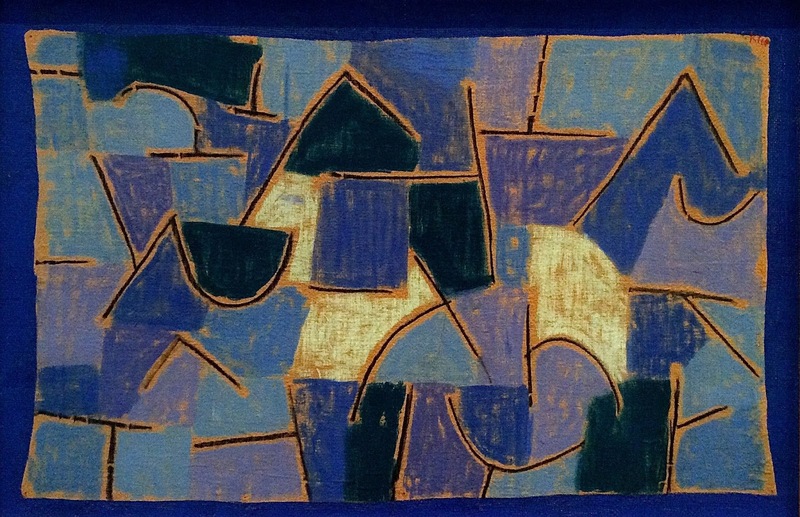 Both his shapes and his colors hint at objective reality while remaining detached and abstract. 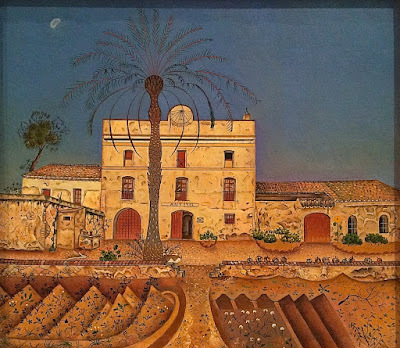 Hammamet is a town in Tunisia. 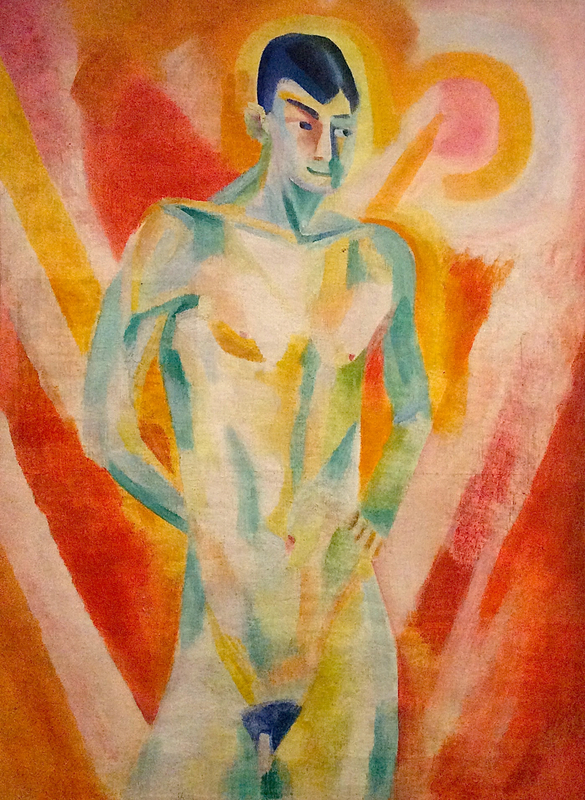 Kirchner was a prominent German Expressionist. 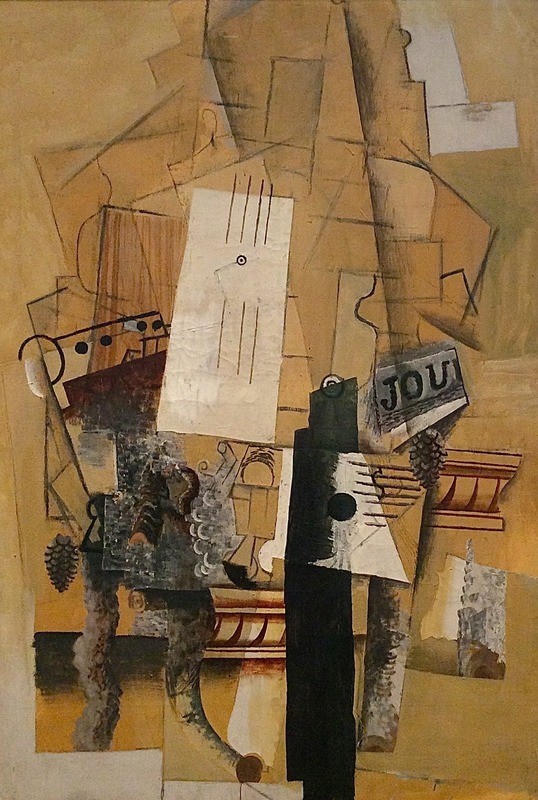 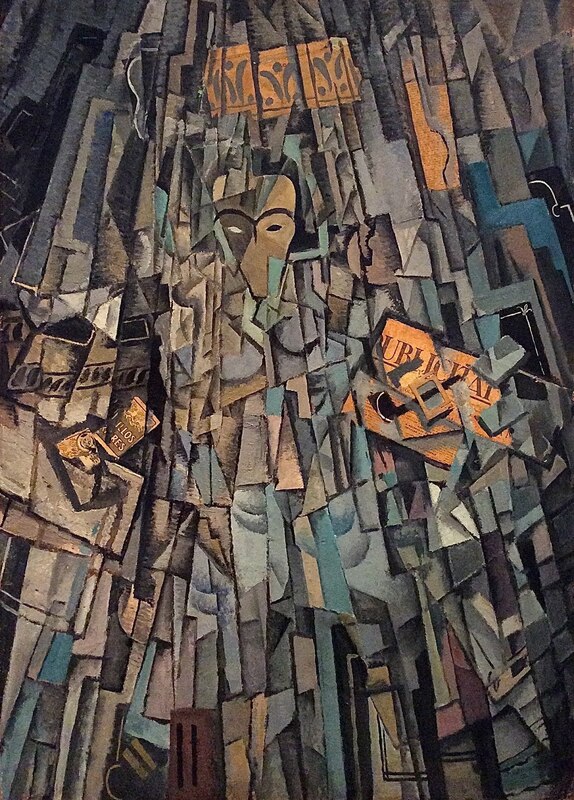 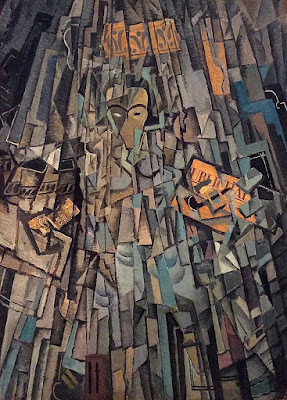 After Picasso and Braque experimented with analyzing images into component shapes, which produced a style known as Analytic Cubism, they began building up images by stacking component shapes, which produced a style Synthetic Cubism. 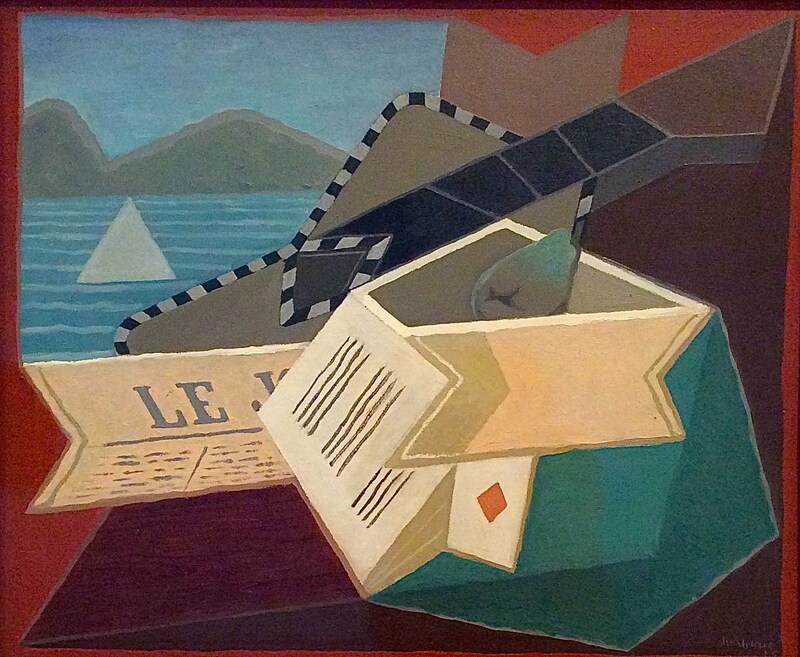 Léger developed an approach to Cubism that featured round forms, rather than cubes. Braque was an innovative French painter who participated in the development of Fauvism and Cubism. 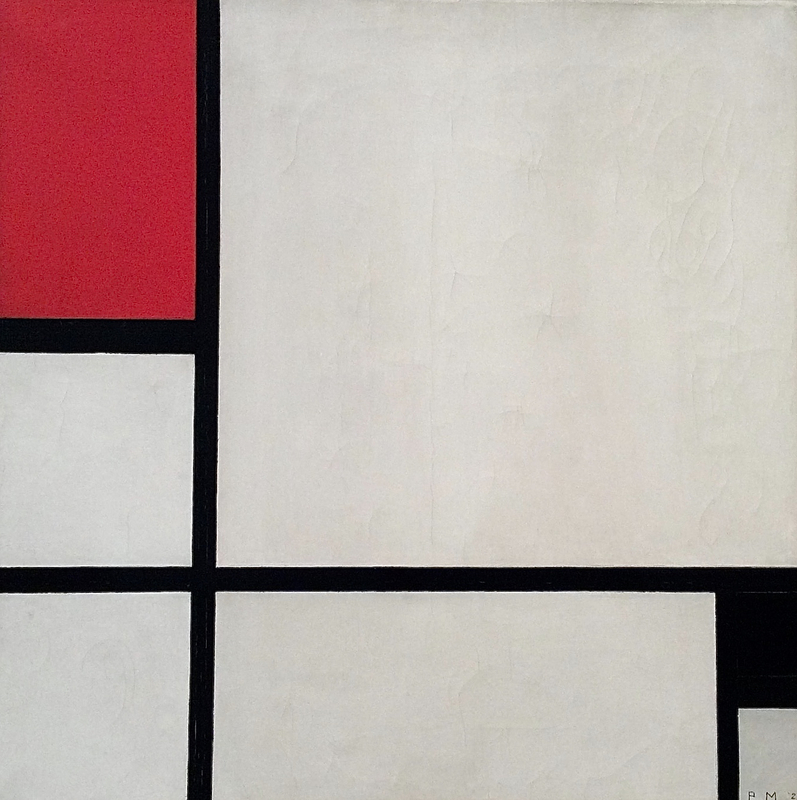 Theo van Doesburg was a Dutch artist who was 8 years younger than Mondrian and very much impressed by his style. 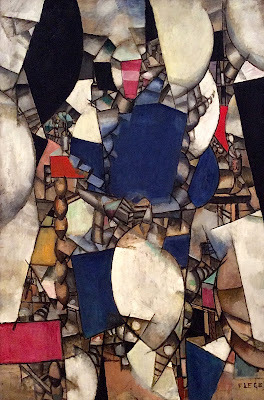 Together they founded a school of art they called De Stijl. 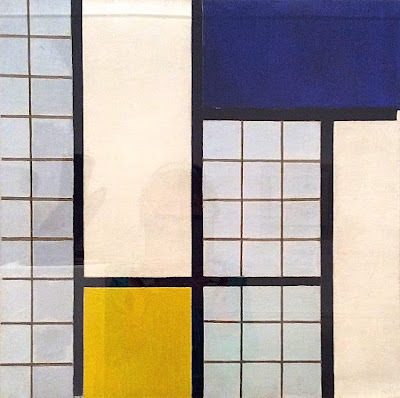 Van Doesburg created more complex compositions than Mondrian. 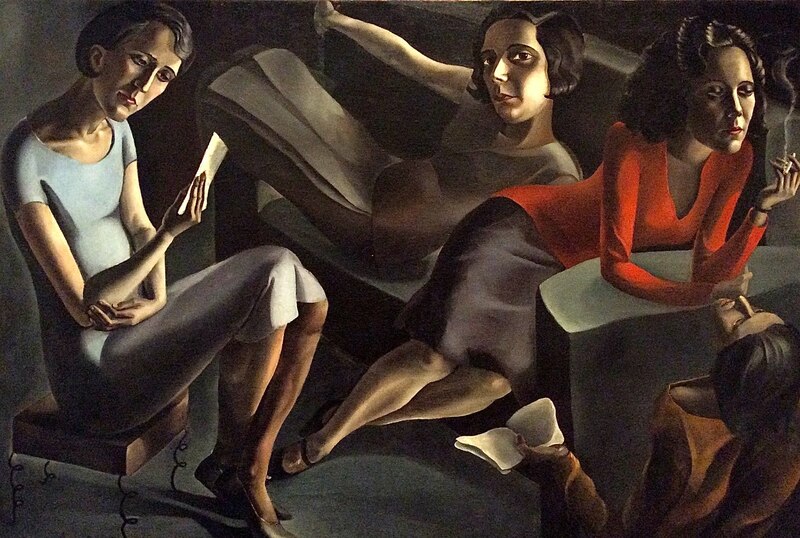 Beckmann was a German painter in the style of the New Objectivity. 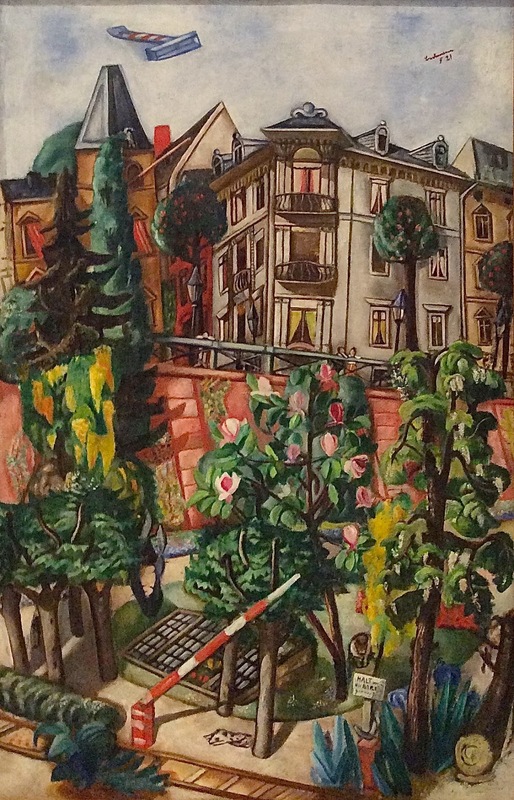 Nizza is a city park in Frankfurt on the Main. 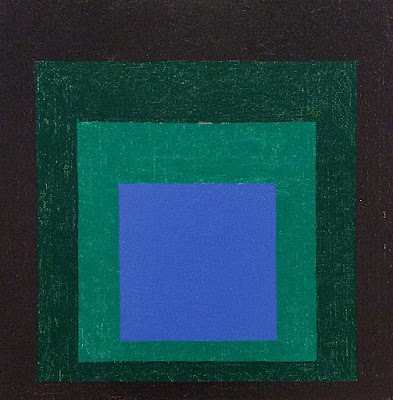 In the 1950s, Josef Albers, a German-born American painter and educator, elected to hold the geometry static while he pursued experiments in color. He did a long series of paintings based on the square. 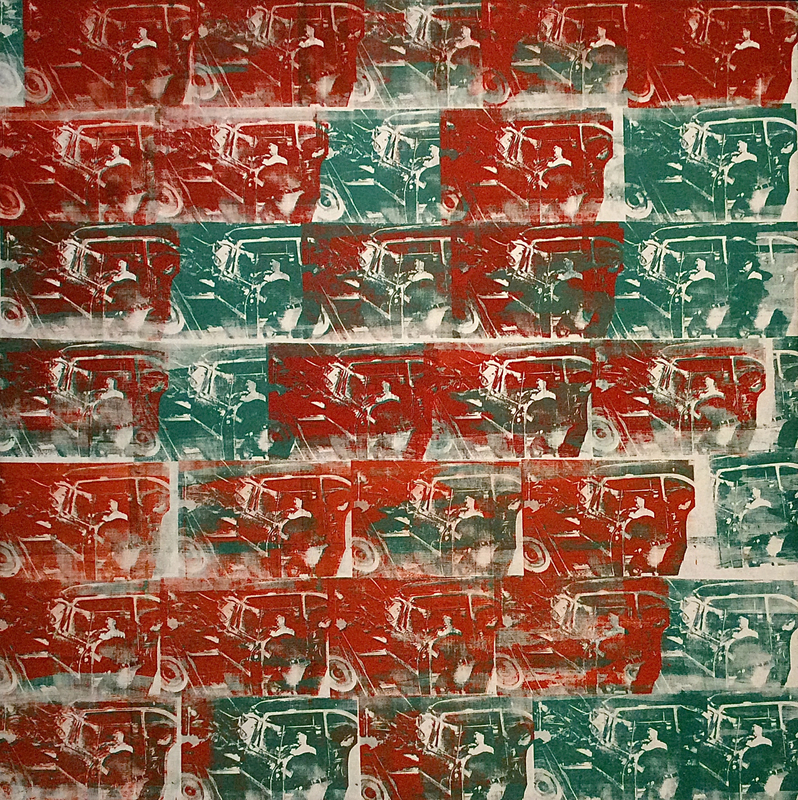 Warhol was an American artist who was best known for his contributions to Pop Art. 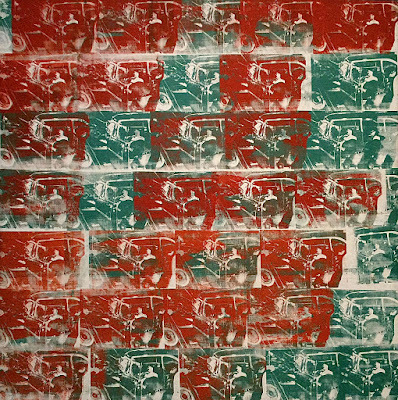 Warhol took an image of a car crash from a newspaper or magazine, and manipulated it to form an abstract pattern of clashing colors. 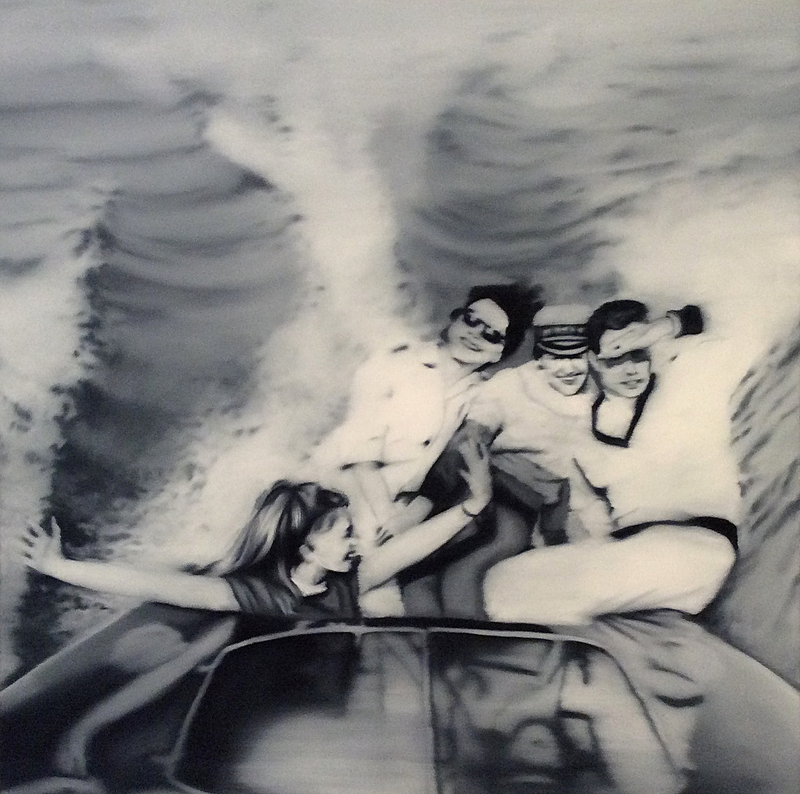 Richter is one of the most important living German painters. 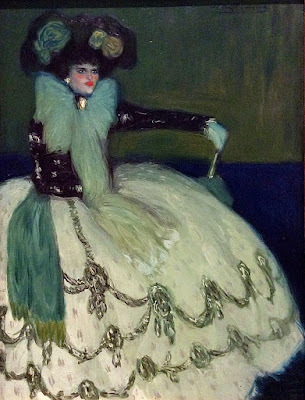 One of his distinctive and innovative styles was to create paintings that look like blurry old photographs. Agnes Martin was an important American abstractionist, known for restricting her means to horizontal and vertical elements. 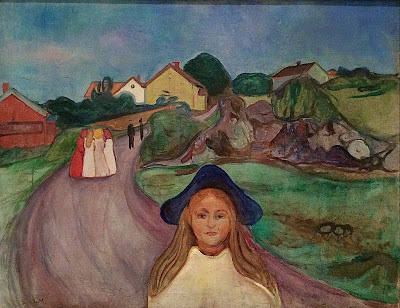 Kirchner, Hodler and Munch painted in the Expressionist style. 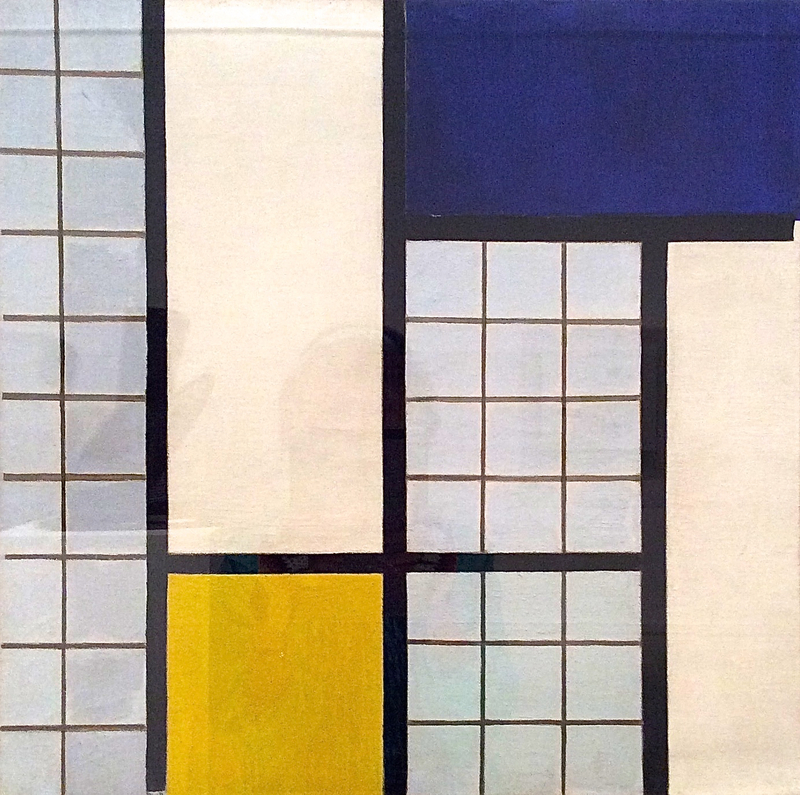 Van Doesburg followed in his footsteps. 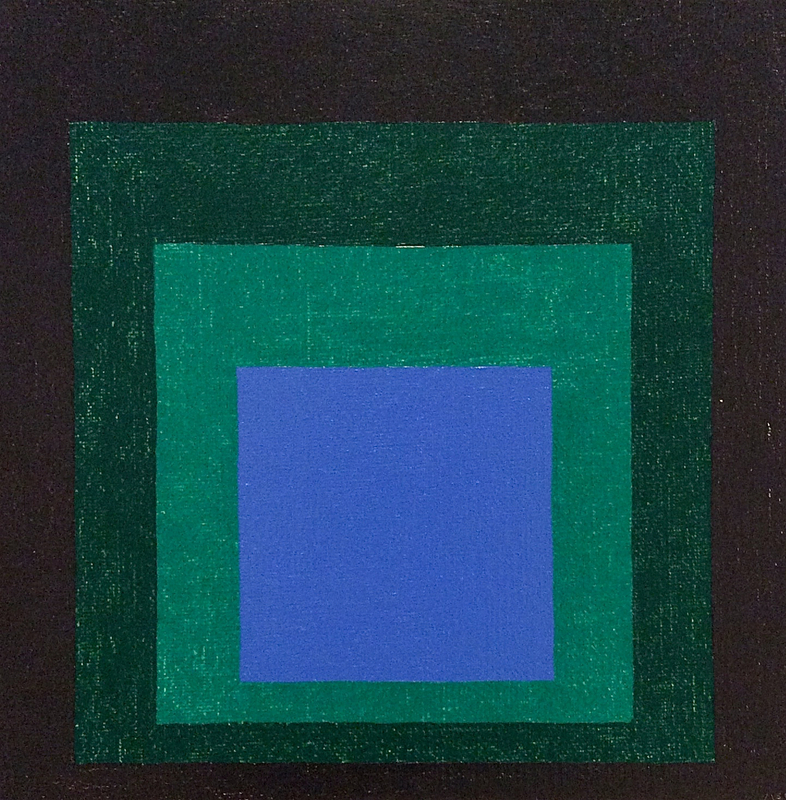 Josef Albers painted color experiments in the form of simple geometric abstractions. 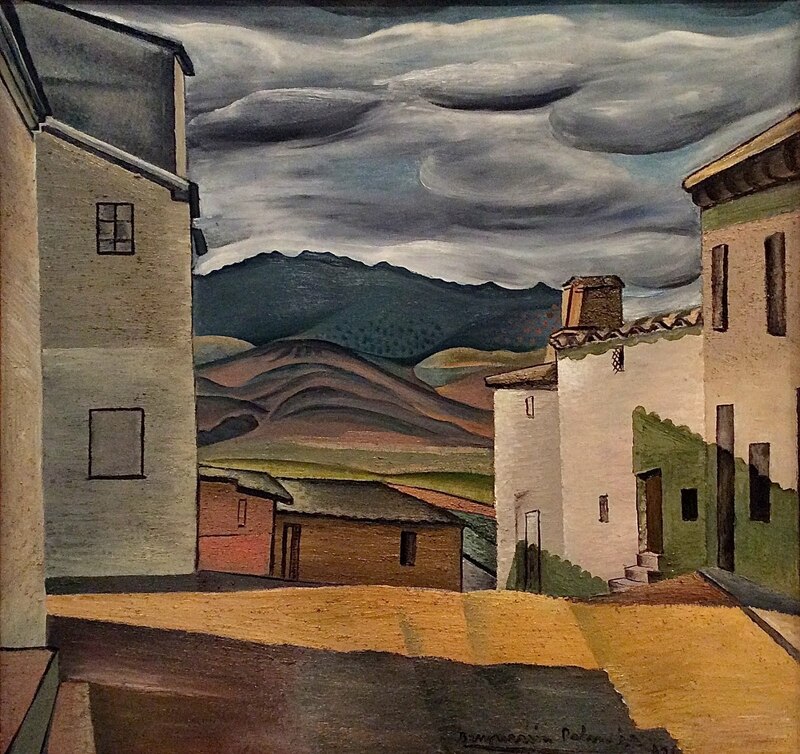 Agnes Martin was an abstractionist who worked primarily with horizontal and vertical elements. Klee was an Abstractionist whose works generally retain some whimsical reference to reality. 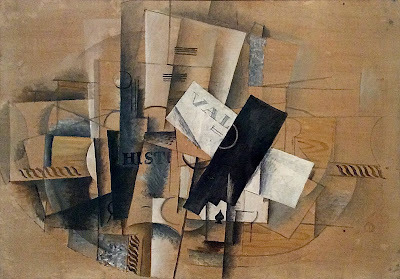 Picasso, Braque and Léger were Cubists. Beckmann was part of the New Objectivity movement. 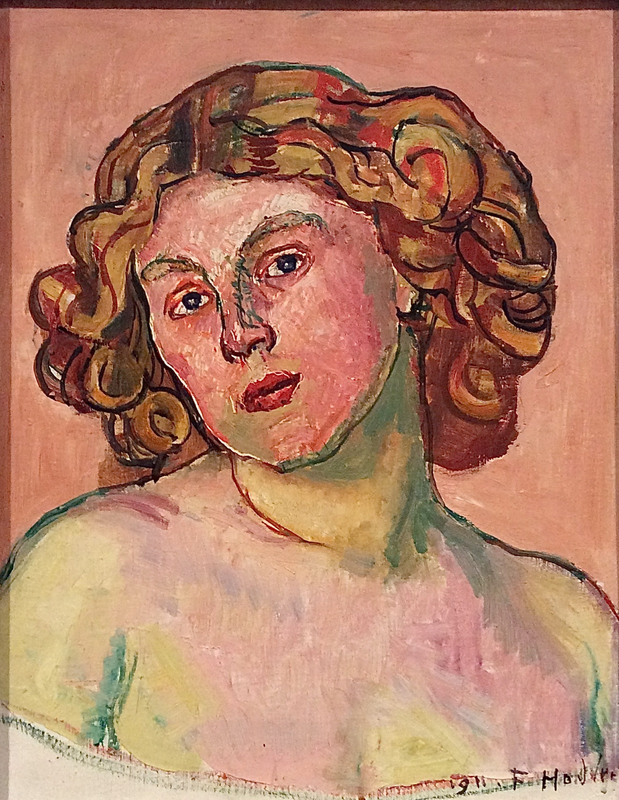 Andy Warhol was one of the leaders of Pop Art. Gerhard Richter is one of the most important living painters. One of his themes was paintings that resemble blurry old photos. Van Gogh was the most popular Post-Impressionist. 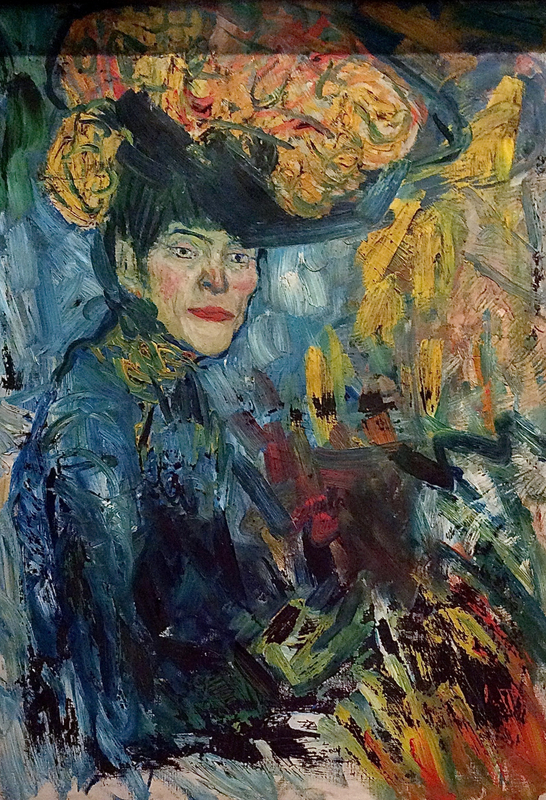 His work is notable for its expressive brushwork. 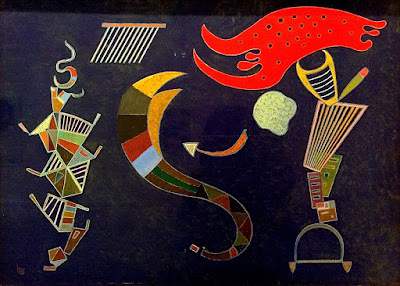 Kandinsky was the pioneer of the Abstract movement. 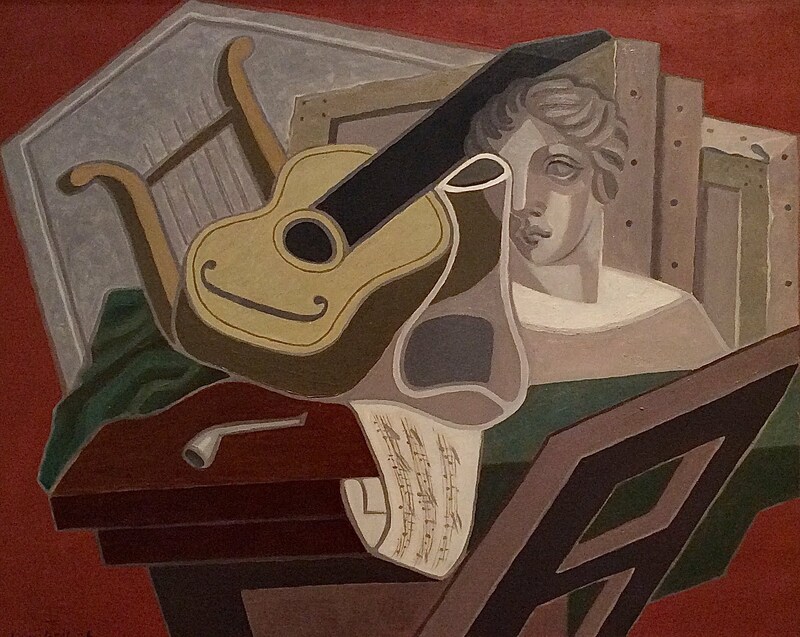 Picasso worked in a wide array of styles. His early works were Post-Impressionist.